Referring to the sum of the sums example (Fig. 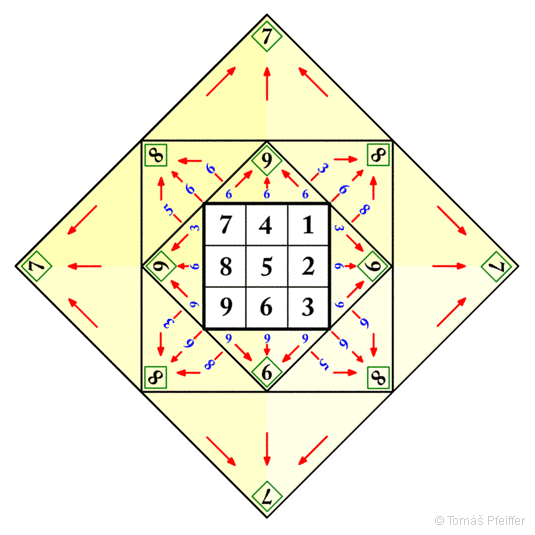 25), the bottom view from the pyramid base towards the apex manifests the formation of four pyramid levels and their link to the Pythagorean grid. This field of mathematics is another great philosophical mystery. Numbers situated in the corners of the squares pertain to the beginning of each of the first three levels of the pyramid. A different regularity applies to the fourth level, so that everything is in duality. There are always two pyramids emerging, one that represents matter and the second attached to the first one in the apex, which is invisible and represents spirit. That is why a mirrored image of this regularity is depicted in the following figure (Fig. 26). Nevertheless, let us not combine negative numbers with negation, but with a vector from the zero point. 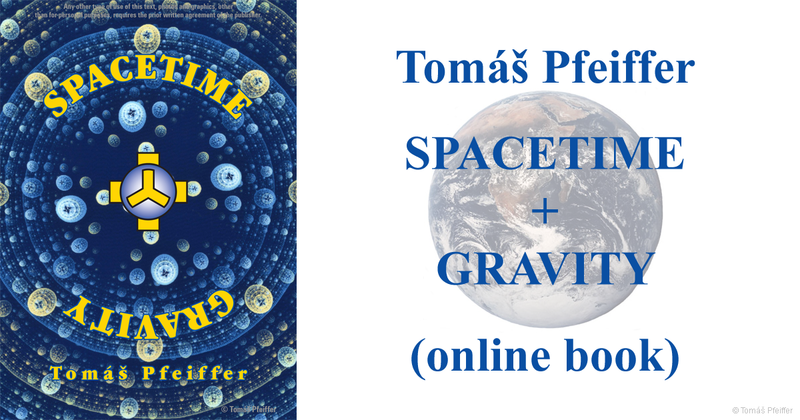 Translated from the Czech originals “Časoprostor” and “Gravitace”.